Guys are stereotyped as lazy when it comes to skincare, so Korean companies have released all-in-one products for simple use. Men usually need stronger products because their skin is not typically as soft and sensitive as women’s skin. Companies release products that are best for them to use that aren’t always appropriate for women’s skin. Men tend to have oily skin and are more prone to acne on their face without any care, so lighter products are best for their skin types. Innisfree has the most skincare for men, featured in their Forest line. They have several products made especially for male skin such as cleansers, essences, and lotions. The Forest line has two parts, titled “Moisture” and “Fresh.” The Moisture set is for men who have combination or dry skin because they need to replenish their drier skin. The Fresh side is for those who have more oily skin and need to control the oil and sebum buildup during the day. Each line only comes with three products: a cleanser, an all-in-one essence, and a lotion. These three steps make it very simple and easy for men to complete their skincare regimen instantly. Iope has released an all-in-one product, Men All Day Perfect All In One, that serves as a toner, a lotion, and a serum which makes it even quicker for them to finish their skincare routine. This product tackles all of men’s skin concerns: dullness, oil/sebum, dryness, wrinkles, and aftershave. Most of my friends tend to complain about oily skin and not knowing how to control it, so this product is recommended because it’s able to control the oil and sebum produced throughout the day and night. To use this product, all you have to do is squeeze an appropriate amount of product onto the palm of your hand then apply it all over your face. You can also layer the product which helps keep your skin clear and moisturized without using different types of products. COSRx has the perfect products for all skin types that target all skin concerns. Although there are more steps, continuously using each product separately will have faster and better results. Each product can also attack a different skin concern based on the main ingredients. COSRx is also perfect for oily skin and acne-prone skin, which is the skin type for most men. 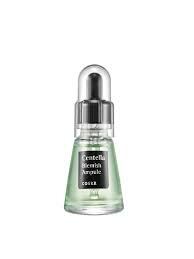 The products that would be best for the most common skin concerns for men would be: BHA Blackhead Power Liquid, Two In One Poreless Power Liquid, and Centella Blemish Ampoule. For each brand, only specific lines were recommended, but they still have other amazing products that could be better for your skin. These products, although, were the most popular amongst men with very common skin concerns. Remember to make sure that each product is right for your skin type, so all of its ingredients are used to the fullest!